Jeremiah 23:4 "And I will set up shepherds over them which shall feed them: and they shall fear no more, nor be dismayed, neither shall they be lacking, saith the LORD." "Thank you Heavenly FATHER for sending us Pastor Murray to teach us Your WORD and utilizing him to help seal the minds of Your elect. 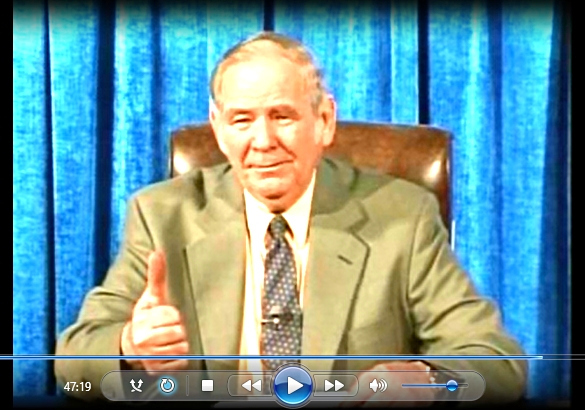 You blessed him with over 60 years of teaching and sharing Your TRUTH, the cup that runneth over, with Your children. We saw how his entire life was blessed by You, FATHER, and he set a fine example that there is only one way to live... and that's by loving and serving You and living in Your WORD. Pastor Murray completed his mission and we will continue to press on to complete ours for Your Glory" - in JESUS Name. Amen. 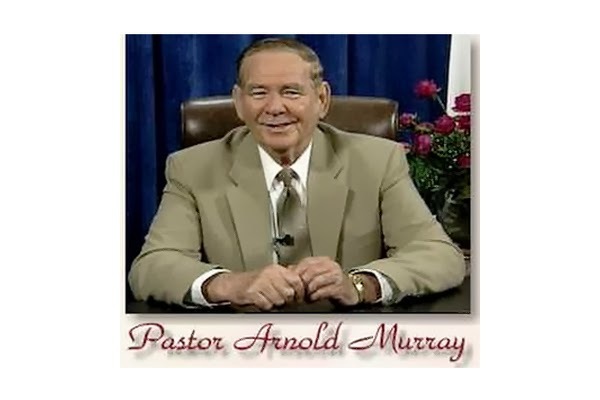 Most of you have probably heard by now that Pastor Arnold Murray passed away yesterday, apparently of a heart attack. The Chapel has verified this information, and is asking people to relax, and take a deep breath, and praise Father for granting us such a shining example of faith, courage and service in the Word of God, for so long. And I would add, to also pray that Dennis Murray be granted the faith, strength, courage and physical, mental, emotional and spiritual well-being to carry on in Arnold’s footsteps. Perhaps Father will grant him the double-portion, as He did Elisha when Elijah was taken home. Regardless, we know Dennis will do a fine job. Pray also for Father’s blessings on the crew at the Chapel, who keep everything running smoothly. You will all remember from the Scriptures that when Moses was taken home by our heavenly Father, it was then time for the children of Israel to enter into the Promised Land under the direction of Joshua. Think about that, for we have just been given a great benchmark in Arnold’s passing. Arnold Murray was the “Moses” of our time. I would advise you all to prepare yourselves -- mentally, physically, emotionally and most of all, spiritually -- for the journey that lies directly ahead. That means staying firmly planted in our Father’s Word. Arnold’s passing represents a “great shaking,” perhaps, for some. But it is nothing compared to what is soon to come. This is no time to be shaken, beloved. Remember: This is the 66th year of the planting of the fig tree in the Holy Land. So expect much this year. Deut 31:6 "Be strong and of good courage, fear not, nor be afraid of them: for the LORD thy God, He it is that doth go with thee; He will not fail thee, nor forsake thee." We may have lost our flesh “Moses” of the end times. But we have not lost the faithful and courageous example he set for us. And always remember, it is our heavenly Father that Arnold Murray ALWAYS taught us to look to for guidance and direction, not himself. Father has shown us by example that when “Moses” was taken home, the children of Israel were not left without guidance and direction. Our heavenly Father was with them every step of the way. And He will be with us every step of the way in the journey ahead into the Promised Land of the Millennium teaching period. As it is written in the verse above, “He it is that doth go with thee, He will not fail thee, nor forsake thee.” Claim those promises, beloved. They are yours for the taking, in Christ’s name. Deut 31:7 "And Moses called unto Joshua, and said unto him in the sight of all Israel, Be strong and of a good courage: for thou must go with this people unto the land which the LORD hath sworn unto their fathers to give them; and thou shalt cause them to inherit it." Deut 31:8 "And the LORD, He it is that doth go before thee; He will be with thee, He will not fail thee, neither forsake thee: fear not, neither be dismayed." Take those words literally, and stand firm in them. Claim them, in Christ’s name. Be strong and of good courage. Fear not. Do not be dismayed. For our job is to cause the people of Israel to inherit the land that’s been stolen from us. That is the task that lies directly ahead -- a task that will be completed by our Lord and Savior at His Second Advent, which we now march forward to. Let us never forget it. Let us stand firmly in our Lord and Savior’s footsteps (“Take up your cross, and follow Me”). And let us remain firmly rooted in His Word. That is the legacy our dear Pastor Arnold Murray has left to us, just as our Lord and Savior Jesus Christ left it to us. Follow the path that’s already been blazed. Make the wake others can follow in, by sticking with the straight-on truth of God’s Word. All praise and glory to our heavenly Father and our Lord and Savior Jesus Christ. Amen.